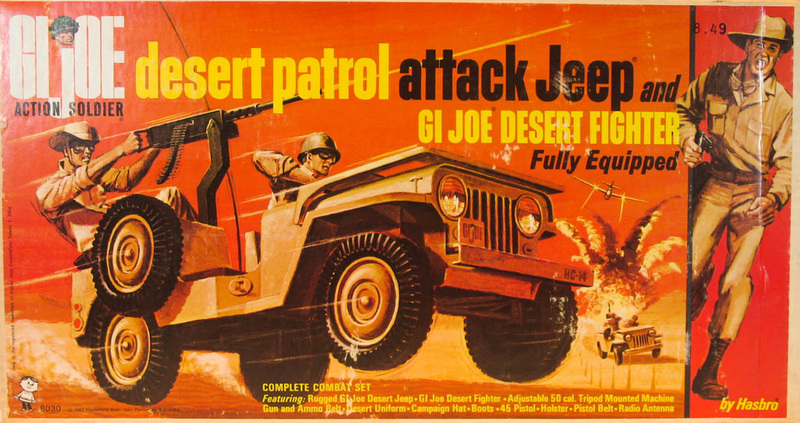 The 1967 Desert Patrol Jeep (8030) was Hasbro's effort to cash-in on the TV hit The Rat Patrol. It's a high demand item with clean styling and a few easily broken pieces, like the gun ring and antenna which are always hard to find. 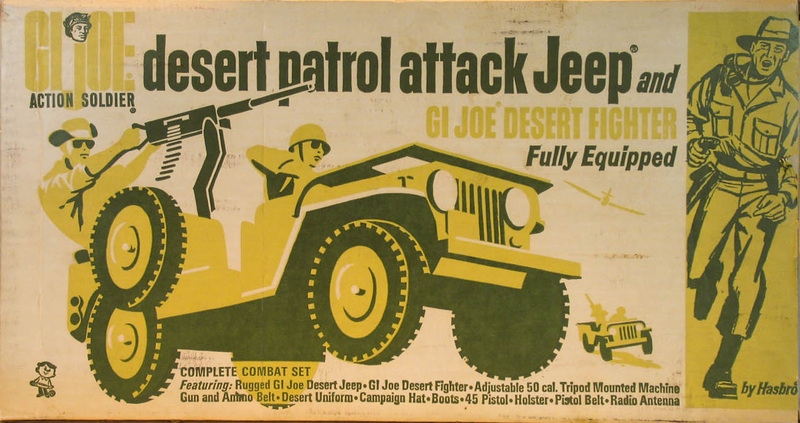 The included driver usually came dressed in the same uniform, right down to the British style stripes, as the Australian Jungle Fighter. Some claim the jacket later used for the 1969 Mouth of Doom set first showed up here, but I'm not aware of any boxed examples that show that. If you have one contact me if you would like to share it. There are also reports of a version with long pants. 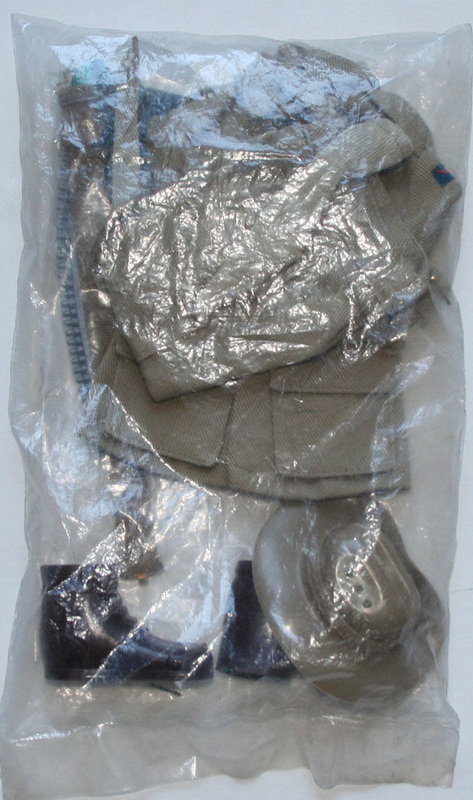 One of the biggest disputes in collecting GI Joe is the question of what goggles came with the set. To date the only ones that have been found in sealed accessory bags are green with black rims, like those in the LSO set. Until others are found sealed in a Hasbro package these are the correct ones for the driver. 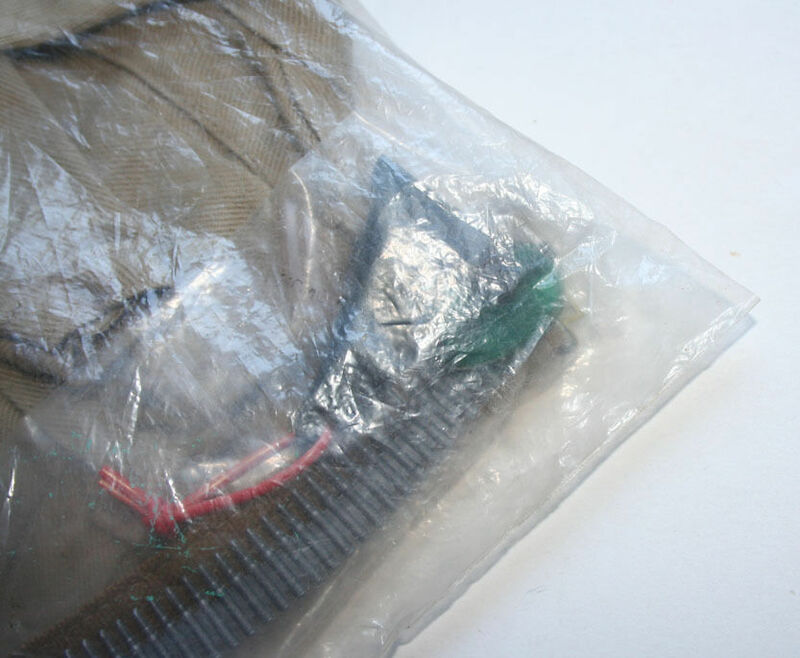 Left, a sealed uniform bag from the set and below, the green goggles with black rims sealed in a smaller bag within the package. Don't fall for scam artists trying to sell rubber Big Jim goggles, or knock-off amber ones. Images courtesy of a friend of the site. The front and back of the box. There was also a bilingual version of the box sold in Canada that had the back printed in French. If you can share an image of that box, please contact me!